Manufactured with weight-reducing materials or construction techniques. The Elite Sealed Kit uses a continuous liner that seals the system completely protecting it against dirt, mud and debris. Available in unique frozen (matte) colors, this system offers the ultimate combination of protection and low-friction performance. To ensure the lowest possible friction, we developed a unique polymer-coated cable and paired it with Speed-Lube ultra-slick lubricant used throughout the liner. This combination delivers amazing performance and the precise lever feel you expect. 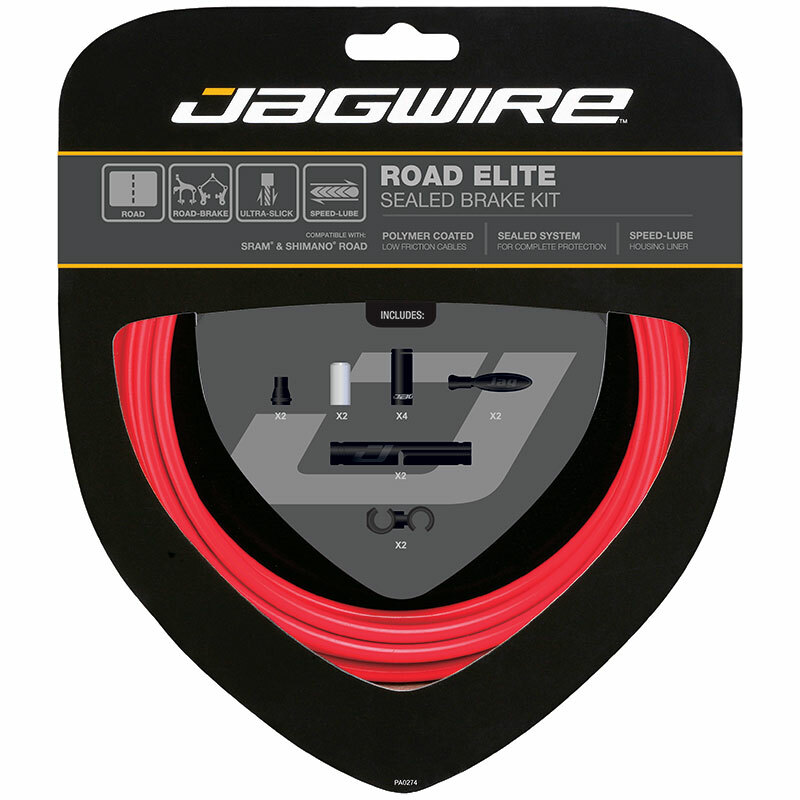 Jagwire sealed systems, available only in DIY kits, include liners that run continuously from the lever to the brake or derailleur. This protects the cable and housing from dirt, mud or anything else that can cause friction. But because the liner runs the full length of the cable, Ultra-Slick polished inner cables are used to keep friction to a minimum.